She served as a nurse on the mission field in Guatemala through Paradise Bound Ministries. She managed a medical clinic in Chimaltenango and made weekly treks to remote villages to provide medical services in makeshift medical clinics. field in Guatemala, where she managed a medical clinic. That renewed viewpoint will serve her well as she returns to Promise Community Health Center in Sioux Center as the new clinic manager. 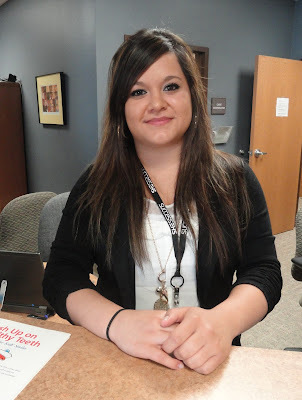 She will step in to the position that has been held by Brittany Hamm, who is moving into a quality and compliance director role at Promise while taking graduate classes through the University of Iowa. “I believe in the mission and ministry that they have here, at Promise, and I love to assist in medical care for the underserved,” Schrock said. Schrock grew up on a farm near Maurice and graduated from MOC-Floyd Valley in 1997. She earned a bachelor’s degree in social work from Northwestern College in Orange City in 2001. She then served as a caregiver at a Bethany Christian Services home for pregnant teens in Modesto, CA, for three years, 2001-04. After her family moved back to northwest Iowa, she worked for Hospice of Sioux Center for nearly two years, 2004-06. She then returned to school to earn her degree in registered nursing at Northwest Iowa Community College in Sheldon in 2008. She worked for Sioux Center Hospital for nearly five years, 2008-13. Schrock then served for a year in her first stint at Promise as a nurse before going onto the mission field for a year. She’s happy to be back at Promise. Q: How did you initially become interested in going into the medical field? A: One of my supervisors at Hospice said to me: “Why don’t you become a nurse?” I said, “OK.” So I did. As a kid, I wanted to be a pediatrician, and I was not necessarily encouraged to do that, but it comes back full circle. Q: What are most rewarding aspects of nursing work? A: I think my favorite part is the education – when patients get it, when they understand their condition, or the education piece that goes with prenatal care – so they can live a healthier life. That’s the most rewarding for me. Q: Why were you interested in transitioning into a medical administration position? A: I just felt it was the right step. It really wasn’t on my radar, but a few of the staff here actually approached me about it, so I entertained the idea. Q: How will your background experiences help you in this role? A: My social work and my passion to serve the Guatemalan population, the Latino population, is going to give me a more holistic approach and help me to understand the big picture. I also love to work alongside people, so that will help me with working with the whole staff. Q: What do you hope you can bring to Promise in the clinic manager role? A: I feel like the groundwork has been laid so very well. I just hope to refine some of the processes and continue the education piece with our patients. Maybe that means educating our staff here better, and then we’ll just have more tools in our toolbelt. I’m excited to get to know the different grants and programs that we have in place and continue to build that groundwork. Q: How is Promise important to the greater community? A: Promise allows for great access to many opportunities – whether it’s medical, dental, prenatal or behavioral health. It’s a unique place to access services all in one building. Q: If you could clear up any misconception, what would it be? A: I’m just excited to work at a place that has a great vision and mission and that stays true to its goals. Vicki Schrock and her husband, Justin, have six children, AJ, 12; Caleb, 11; Emilee, 9; Miya, 6; Kira, 6; and Naomi, 4. In her free time, she enjoys working with her family on their acreage near Orange City, sewing, taking photographs and baking. SIOUX CENTER – The use of electronic cigarettes – or vaping – is more than just a fad. Teri Bos, public health nurse at Community Health Partners of Sioux County, calls it an “emerging problem” – particularly among teens and young adults. Bos and Shay Davis, tobacco prevention advocate for the Northwest Iowa Tobacco Free Coalition, will give a presentation on “Smoking Cessation and the Negative Effects of Electronic Cigarettes (‘Vaping’)” at 6:30 p.m. Thursday, July 30, in the community education room at Promise Community Health Center, 338 1st Ave. NW, Sioux Center. The topic is being explored for Promise’s monthly “Bridging the Divide” Community Education Talk. Davis and Bos said the talk might interest preteens and teens, young adults, parents, teachers, smokers considering using e-cigarettes as a tool to quit smoking, medical professionals and business owners. Bos said she and Davis provided education on the health effects of smoking and nicotine to more than 1,600 students in area middle schools and high schools in the past year. She said that is concerning because research shows that nicotine, including that in e-cigarettes, has negative effects on brain development in adolescents and is beginning to reveal that vaping cause damage to lung tissue similar to smoking traditional cigarettes. SIOUX CENTER – Rebecca "Becka" Hooyer hopes she can help a lot of people improve the quality of their life through improved dental care. She started seeing patients full time as a new dental hygienist at Promise Community Health Center on Monday, July 6. She finds the work to be highly rewarding. Hooyer’s parents originally were from Sioux Center, but her family moved around a lot during her childhood. After they moved back, she completed her last two years of high school at Sioux Center High School, graduating in 2009. She wasn’t exactly sure what she wanted to do with her career after high school, so she went on to Northwest Iowa Community College in Sheldon and earned an associate of arts degree in 2011. After working mainly as a gymnastics coach for a while, she enrolled at Iowa Western Community College in Council Bluffs and earned her associate of applied science degree in dental hygiene in December 2014. Hooyer said she started becoming intrigued about the dental field after having braces at an older age than many people do. “I liked how friendly everybody in the dental field was, so that kind of drew my attention,” she said. 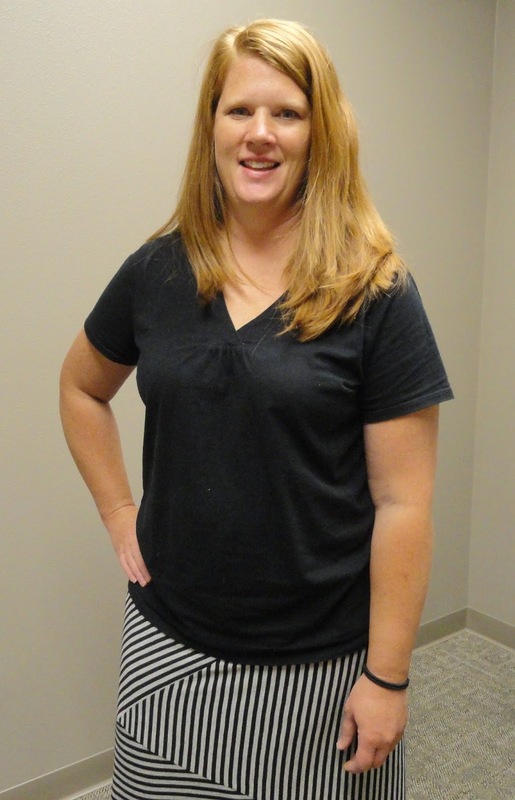 After receiving her dental hygienist license, Hooyer filled in for a maternity leave at Murphy Family Dentistry in Rock Rapids for three months this spring before starting at Promise. She said her favorite part of dental hygiene is working with children. She also enjoys the challenge of doing scaling and root cleaning – a deep cleaning. “I hope to help a lot of people improve their quality of life,” Hooyer said. When she isn’t on the job, she enjoys reading and gardening. Promise Community Health Center expanded its dental clinic hours to five days per week when Dr. Kenneth Tjeerdsma, dentist and dental director, and Rebecca Hooyer, dental hygienist, joined the staff. Friday: 9 a.m.-2:30 p.m. hygiene, 9 a.m.-5 p.m. dental. 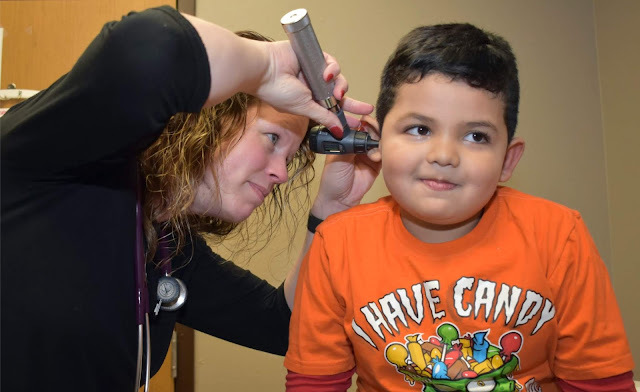 SIOUX CENTER – Maria Arias came to appreciate what Promise Community Health Center in Sioux Center is all about several years ago when her family started getting its health services there. they walk into the front door. For example, bilingual staff was readily available in every area of the health center to help interpret for her mother when she was pregnant. Previously, Maria had to get a note for school so that she could translate for her mother when she had an appointment at another clinic. Now, she has the chance to help people in a similar manner. Maria started in late June as a new receptionist for Promise. Her role includes greeting patients, answering phones and scheduling appointments. She hopes to make patients feel comfortable as she assists them with their needs when they arrive so they will want to return. Maria immigrated to the United States from Mexico when she was 6 years old. Her family first lived in Sheldon for a year and a half before moving to Orange City 13 years ago. She graduated from MOC-Floyd Valley High School in 2013 and earned an associate of applied science degree in business management from Northwest Iowa Community College in Sheldon in May. She looks forward to her first career role. “I hope to be able to work with all off the staff as a team for the good of the community – just helping people understand and meeting their needs,” Maria said. Maria married Jesus in February. In her free time, she enjoys shopping, playing soccer and spending time with family.